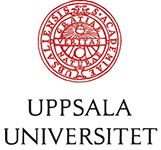 Uppsala University is a comprehensive research-intensive university with a strong international standing. Our mission is to pursue top-quality research and education and to interact constructively with society. Our most important assets are all the individuals whose curiosity and dedication make Uppsala University one of Sweden’s most exciting workplaces. Uppsala University has 40,000 students, 7,000 employees and a turnover of SEK 6.5 billion. You are welcome to submit your application no later than February 1, 2018, UFV-PA 2017/4175.